Earlier this year, we told you all about Santa’s Husband. 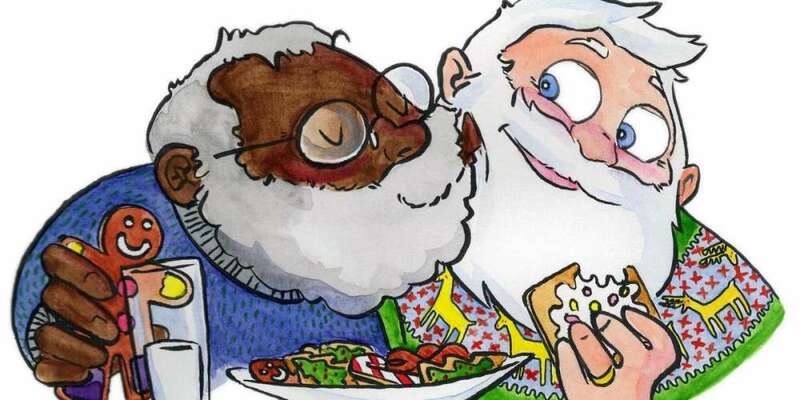 It’s a new children’s book that reveals the truth about Santa — he’s black and gay (although Big Freedia has known that for years). The book has been out for a while, but the far-right website Breitbart just discovered it, and we’re living for the Santa’s Husband reactions from Breitbart. Santa’s Husband began life as a joke. Last December, author Daniel Kibblesmith tweeted, “Me & @JenAshleyWright have decided our future child will only know about Black Santa. If they see a white one we’ll say ‘That’s his husband. 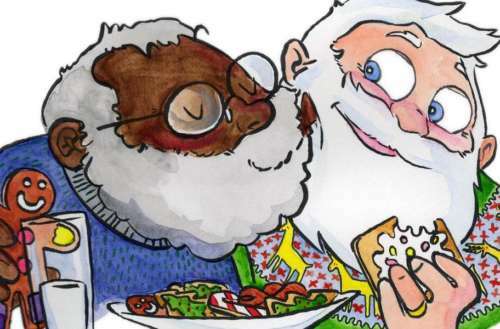 '” That tweet led Kibblesmith to get together with illustrator AP Quach to make Santa’s Husband a reality. The book follows the lives of Santa and his husband at the North Pole, while Santa’s husband fills in as a mall Santa. The two men are adorable and affectionate — though it started as just a Twitter joke, the book ended up being a sweet depiction of a healthy, loving relationship. Gasp! There’s healthy conflict resolution?! Better sound the alarm! We’re not exactly sure why pedophiles would buy a book about adult men, but hey. make it no Christian should watch TV these days! It’s a book, but hey, keep fighting the good fight. TIME TO CULL THE HERD OF THE JACK@SSES!!!!!!!!!!!!!!!!! This guy may have recognized the right medium, but this seems like an over-reaction. At least he censored the word “jackasses” for our sensitive eyes. There’s plenty more where that came from on Breitbart but you get the idea. If you’re interested in destroying America, Santa’s Husband has been on sale since Oct. 10, and makes a great stocking stuffer for kids and adults alike.